When you search for a business on Google, you may see information about that business on the right-hand side of the search engine result page. In this panel, a Business Profile will appear which may include the store’s phone number, store hours, a link to their website, directions to the storefront, and more. A Google Business Profile can help customers discover and contact your business, provided that the information included in it is updated and current. 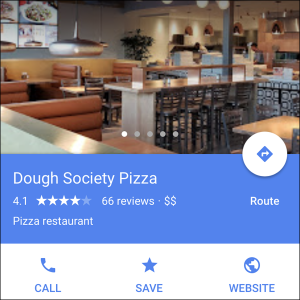 To add your business information to Google Maps, Search, and other Google properties, create a Google My Business (GMB) listing or claim your business if a listing already exists. GMB is a free tool that makes it easy to create and update your Business Profile for both Google Search and Maps. With GMB, you can update your Google Business Profile at any time—if it’s a holiday, you can update your listing to reflect your business hours. If you need to update your business’s phone number, you can and your Business Profile will always update automatically across Search and Maps. GMB allows you to engage with your customers for free right from your phone, tablet, and computer. With GMB, you can attract customers by sharing what’s new such as your latest offers, promotions or news so that your customers can always feel in the know. You can also upload new photos of your business, respond to reviews, and build relationships and customer loyalty. If you are looking to increase customer engagement with your business, contact us today and we can help you optimize your Google Business Profile.